Otis Hydro, Androscoggin River, Jay. Under the Federal Power Act, the Federal Energy Regulatory Commission (FERC) is responsible for licensing hydroelectric power projects, including traditional river dams and tidal energy projects. FERC's hydro licensing process involves consultation with state and federal agencies, which may recommend license terms and conditions to FERC to protect and enhance water quality, fisheries resources, public recreation, renewable energy production, and other public interests. Section 401 of the Federal Clean Water Act requires that States certify that the construction or operation of hydropower projects subject to federal licensing meets state water quality standards. The Maine Department of Environmental Protection (DEP) is designated by the Office of the Governor to issue a water quality certification to ensure that a FERC licensed hydropower project will meet state water quality standards for the term of its license. When FERC issues a license for a hydropower project, the conditions in the state water quality certification become part of that federal license. Federal licenses are issued for terms of 30 to 50 years. Further explanation of the FERC process is available through the FERC website and a Hydropower Relicensing information sheet. Information on the status of hydropower dam projects currently undergoing FERC licensing is available in an annual Report Submitted to the Legislature: Hydropower Projects. The Maine Waterway Development and Conservation Act (MWDCA), which includes Title 38, Chapter 5, §§ 630-638 and Department Rules, 06-096 Chapter 450, require that a permit be issued for the construction, reconstruction, or structural alteration (including some maintenance and repair) of new or existing hydropower projects. Hydropower projects include water-powered electrical and mechanical generating projects and water storage projects. The MWDCA provides a comprehensive, one-stop state permitting process that is administered by DEP, for projects in organized municipalities, and by the Land Use Planning Commission (LUPC), in unorganized territories of the state. The law requires consideration of the full range of economic, environmental, and energy benefits and adverse impacts of a hydropower project. The public is provided opportunity to comment on the plans and then on the terms and conditions of the permit through notification and public comment process (public participation, Title 38, Chapter 5, §640). DEP administers statutory authority over non-hydropower dams through Natural Resource Protection laws that allow or exempt certain construction or repair activities, and by establishing water levels and downstream flows through a petition process (Petition to Set Water Levels/Minimum Flows). In addition, dam owners who are subject to such a water level set by the state may Petition for release from Dam Ownership or Water Level Maintenance, which provides a process to find a new owner of the dam. 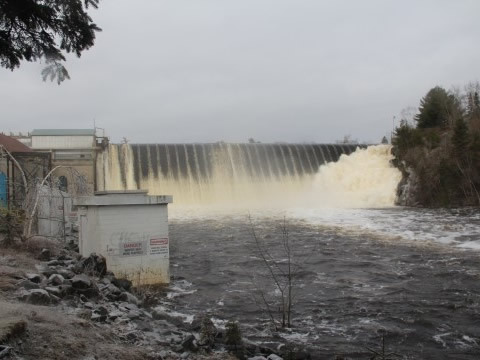 If a new owner cannot be found and the State of Maine does not wish to own the dam, the dam will be breached and the water level order rescinded. Further information regarding the regulation of non-hydropower dams is available through the Regulation of Dams issue profile and a Water Level Management information sheet. The Maine Emergency Management Agency (MEMA) administers dam safety regulations and conducts periodic inspections of non-hydropower dams. Additional information on programs administered by MEMA can be found on their webpage, Maine Dam Safety Program. Request for Consultation. This form shall be used to request consultation review and comments for the proposed federal licensing or relicensing of a hydropower project. Water Quality Certification. This form shall be used to request Water Quality Certification for the proposed FERC licensing or relicensing of an existing hydropower generating or storage project where no construction, reconstruction or structural alteration of project facilities which would affect water levels or flows is proposed. Project Construction/Reconstruction. This form is used to request a Maine Waterway Development and Conservation Act permit and Water Quality Certification for the proposed FERC relicensing/relicensing and/or construction, reconstruction or structural alteration of a hydropower project. Project Maintenance and Repair. This form is used to request a Maine Waterway Development and Conservation Act permit and Water Quality Certification for the proposed maintenance and repair of an existing hydropower project where no expansion of generating capacity is proposed. Project Modification- Amendment. This form shall be used to request approval of an amendment to: (a) project design or operation; or (b) the conditions of a permit as previously approved by the Board or Department of Environmental Protection. Project Modification - Minor Revision. This form shall be used to request approval of minor revision to: (a) project design or operation; or (b) the conditions of a permit as previously approved by the Board or Department of Environmental Protection where the modification significantly decreases or eliminates an environmental impact, does not significantly expand the project, does not change the nature of the project or does not modify any Department findings with respect to any licensing criteria. Condition Compliance. This form shall be used to comply with conditions on Orders for hydropower projects which require approval by the Board or Department of Environmental Protection. Application Addendum: Dam Removal. This addendum describes the pre-application meeting and public informational meeting requirements that must be satisfied by anyone intending to file an application for a Maine Waterway Development and Conservation Act permit to remove an existing dam. Application Addendum: Earthfill Cofferdams. This addendum describes the additional information that must accompany the filing of an application Form Hydro.2 or Form Hydro.3 whenever an applicant proposes the use of an earthfill cofferdam as part of project construction/reconstruction or maintenance and repair activities. Transfer. This form shall be used for the transfer of permit/certification authorization for the construction and/or operation of a hydropower project. Tidal Energy Demonstration Project. This form is used to request a general permit under the Maine Waterway Development and Conservation Act and Water Quality Certification for the proposed FERC pilot project licensing of the construction and operation of a tidal energy demonstration project.